[INQ. NO. 1508E16] MiDong Electronics&Telecommunication has committ ed itself to research, development, production and distribution of Drive recorder since its foundation in 2009. The company has early launched brand of Urive in 2010 in the country and achieved recognition of product competitiveness and brand power based on the domestic market as it had No. 1 sales record of black box in 2011 under the consistent products line-up, reliable products and the satisfying customer service. 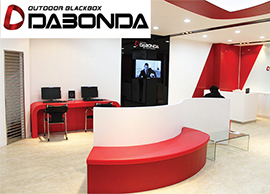 Furthermore, the company is leading the black box market with the introduction of new technology and design. 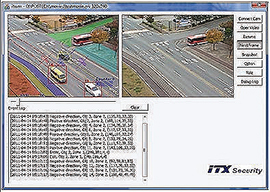 The core technologies from the company include Advanced Driver Assistance System (Digital Image Processing Technology, Lane Departure Warning System, Car Rear-End Collision Warning System and Back Parking Assistance System) and Video/Audio Compression in Multi-Channel, Motion detection, GPS and Collision Sensing. Applying these technologies and combining them with the product, the company has developed and produced black boxes with the world’s highest performance and quality. In current years, the company is making its efforts mainly for developing some products such as integrated some of ADAS(Advanced driver assistance system) into the Drive recorders. The company’s latest black box model Urive Albatross􀀀 has high resolution LCD(800×480) while boasting 3.5inch wide touch LCD. Two sensors are embedded for the brand – shock sensor-parking mode and G sensor-driving mode. And services of voice information and up to 64GB of micro SD card are ensured. Filed Under: New & Hot Tagged With: Back Parking Assistance System, black box, Car Rear-End Collision Warning System, Digital Image Processing Technology, Driver Assistance System, Lane Departure Warning System, MiDong Electronics&Telecommunication Co. Ltd.
[INQ. NO. 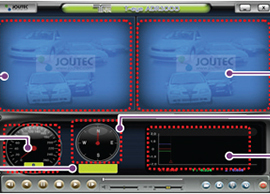 1502E11] Joutec has successfully launched a business of automotive driving recorder Teye, drawing attention from customers not only in the nation but also in the world. 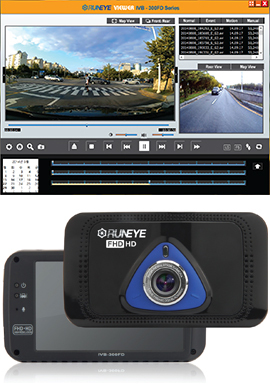 The maker’s prominent product Teye is a black box for the vehicles, unlikely other recording system and is being widely used to record video and audio data in a continuous first in first out loop fashion. In the case of vehicle accident such as a collision, impact and sudden acceleration, related incident, the data is marked and stored onto the SD card. One may thereafter analyze the data to find its root cause by playing back the scenes of interest and where acceleration, vehicle speed, direction, and location are available for review. 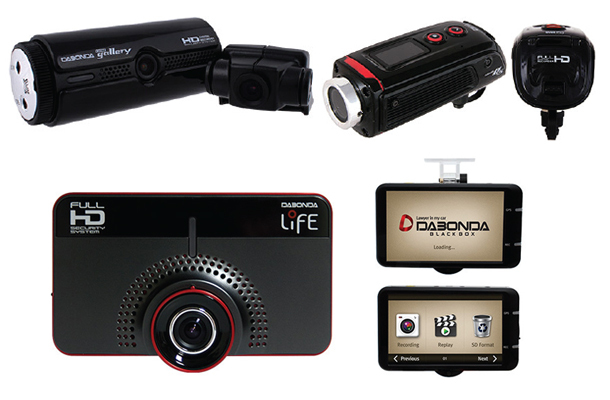 Of special note, the product is specially recommended, in terms of its special functions of continuous recording, pre and post event recording, night view recording with infrared light, playback of video/audio data and data analysis. The benefits from the product include save video of unusual driving habits, record speed and position, mark any driver noticed events and easy to install & easy to operate. Filed Under: Electric Tagged With: automotive driving recorder Teye, black box, Drive recorder, Joutec Co. Ltd.
[INQ. NO. 1411E35] Innovent is a specialized company developing smart IT solutions. Under the business motto of “Innovation and Invention”, Innovent develops and produces various smart IT solutions by utilizing the accumulated technologies (such as multimedia processing technologies, wired and wireless communications, high-definition video processing technology, embedded IT convergence technology, home networking control technology, system and component technologies) and the differentiated ideas from those of competitors. For video resolution, the front camera has a 1920×1080 of full-HD and the rear camera features 1280x720HD. The perfect GUI control is fully possible with the four-inch full-touch screen on LCD. The recorded video can be displayed very easily with simple GUI control with the full-touch LCD screen as well as full control of the IVB-300FD. The company aims to grow into a powerful venture company that can share the products created by a series of market-leading business activities. MiDong Electronics&Telecommunication has early launched brand of Urive in 2010 in the country and achieved recognition of product competitiveness and brand power based on the domestic market as it had No. 1 sales record of black box in 2011 under the consistent products line-up, reliable products and the satisfying customer service. Furthermore, the company is leading the black box market with the introduction of new technology and design. The core technologies from the company include Advanced Driver Assistance System (Digital Image Processing Technology, Lane Departure Warning System, Car Rear-End Collision Warning System and Back Parking Assistance System) and Video/Audio Compression in Multi-Channel, Motion detection, GPS and Collision Sensing. Applying these technologies and combining them with the product, the company has developed and produced black boxes with the world’s highest performance and quality. In current years, the company is making its efforts mainly for developing some products such as integrated some of ADAS(Advanced driver assistance system) into the Drive recorders. 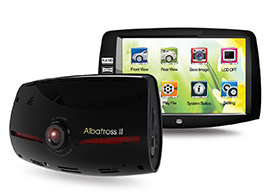 The company’s latest black box model Urive Albatross II has high resolution LCD(800×480) while boasting 3.5inch wide touch LCD. Two sensors are embedded for the brand – shock sensor-parking mode and G sensor-driving mode. And services of voice information and up to 64GB of micro SD card are ensured. Filed Under: KOTRA Tagged With: Back Parking Assistance System, black box, Car Rear-End Collision Warning System, Digital Image Processing Technology, Driver Assistance System, Lane Departure Warning System, MiDong Electronics&Telecommunication Co. Ltd.
[INQ. NO. 1409M01] Driving is potentially dangerous, and a driver becomes edgy behind the wheel looking out for any possible dangers 24/7. With airbags all over inside, he or she might feel prepared, yet, without today’s vehicle black box, something should be always missing. Determining cause and effect after an accident is critical as to finding out what happens. Korea’s DABONDA here helps you get your fair share. DABONDA LIFE appears simply red and grey. Its color and design may follow the norms of what black box should look like, but functions are defying it. LIFE allows for easy and convenient control with its high-definition 4-inch LCD touch screen which includes Sony EXMOR CMOS sensor (2.4M). Its saved video image expansion enables you to enlarge video images on the screen. PIP (Screen Splitting) function shows you both recorded front and rear videos at the same time. There are also E&M messenger, motion detection, safe guard, etc. The Korea’s forefront vehicle black box maker, began its business in 2011. The company develops and distributes mainly black box technology with people’s safety first on its priority list.